The new People's Memory website, launched by the Russian Defense Ministry, is the largest of its kind in the world. The site, dedicated to those who served on the Eastern Front in World War II, allows users to locate the resting places of soldiers whose burial sites have remained unknown to their relatives until now, as well as acquire knowledge about their military careers. According to the Russian Defense Ministry, Russia has launched the world’s largest website dedicated to participants of World War II. By using the People's Memory website, available only in Russian, anyone can learn about the fate of Soviet citizens who fought in the war, including their relatives. The site contains more than 50 million notes that can help users to seek out information on millions of Soviet soldiers and officers. Social network users are already enthusing about how the new internet resource has helped them learn about their relatives who fought in the war, with Facebook users saying that they have been able to find information on their grandfathers and great-grandfathers who fought in the war, as well as the movements of their units during the conflict. This author has found information on the military decorations awarded to his distant relative, Savva Zhurba, a colonel-cavalryman from the Kuban region of southern Russia who made it all the way to Berlin. The site contains information on some of his honors, as well as copies of decrees for the medals he received. 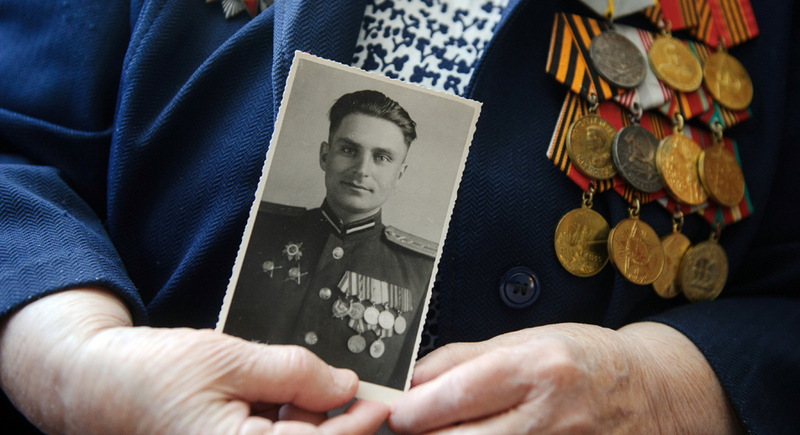 "The People's Memory website's main objective is to restore the fates of war heroes," said Vladimir Popov, director of the department responsible for immortalizing the memory of those who fought for their fatherland, in an interview with RIA Novosti. "The website searches for the places where soldiers were first buried, as well as for the documents related to their awards, careers, victories and hardships on the battlefields." According to Popov, the project required a significant amount of work on geo-referencing information on the soldiers' and officers' places of birth, conscriptions, deaths and the final places of service. In other words, work on the recreation of a single chain of the fates of those involved in the conflict. The resource's database contains burial certificates with information on two million deceased soldiers. In total, according to official statistics, about 8.5 million Soviet soldiers and officers died during the war. The site is divided into three sections: war heroes, military operations and military burials. The search for World War II participants can be carried out in any of the three sections. All that is necessary is to type the soldier's name and surname. Besides information about their burials, the website's database contains information on Soviet prisoners of war, the honors the soldiers received, and descriptions of their activities, as well as maps and journals related to combat action. The People's Memory project is a combination of two resources earlier launched by the Defense Ministry: Memorial and People's Feat. The ministry emphasizes that the resources of these sites can help create a personal family archive of the destinies of those who fought in World War II. The Defense Ministry's internet resources have already helped many people learn about the fates of their military ancestors. Viktor, a user of popular blogging site Livejournal, wrote about his grandfather, Red Army driver Martemyan Kobzyar, who, while wounded, drove artillery weapons out of danger under fire, saved the lives of four other soldiers and was consequently given a medal. The Defense Ministry said that the new portal, besides information on soldiers who fought in World War II, also provides information on the Russian soldiers who participated in WWI.